We all can find 15 minutes in our day. Plan 15 minutes either in the morning, afternoon, or evening, to spend with your family. It might be cuddle time with your children, or time to read to them or speak with them, or perhaps take a walk in the AM or PM with your partner or cook a meal together. Those 15 minutes with you fully present and locked on to being with your family really counts. Each week schedule in PEN a family night – this can be one hour or longer and longer is preferred but you can start with a smaller amount of time and build up. During the date night one family member selects what the family will do and you each take turns planning the “date”… so, this week you may pick dinner out and the next week your son may choice a family video or your daughter a special family game, or a TV show or you may take a walk, go to the mall… it really doesn’t matter as long as you all do it together and you don’t break the date. This is outstanding quality time to be together and enjoy each other and an event. Plan one day a month from midnight to midnight where you do no work… don’t think about work, talk about work, do work… no cell phone, pager, email, paperwork… I mean nothing work related. Simply spend the day with your family. You don’t have to do anything special, just be together and experience being a family and being together. Recovery days go on your calendar and are appointments you never break. When you have done 3 or 4 months of these, begin to bump it up to 2 days a month and eventually try to go for 3 or 4 days a month. It is worth it and you’ll find you do get replenished and renewed from these days. At dinner time, or any other together time, share the things you appreciate about each family member. Do this outloud and tell the others what you appreciate and be focused on what is working and what is good about each person. Really feel how much you appreciate them and how joyful you are for who they are. This is a great way to feel connected, appreciated and allow yourself to amp up your energy and love. Since we all need to eat lunch, make a lunch date with your partner or your kids or both and grab a bite together. Catch up, and really tune in deeply and listen with your heart to what they have to say. Focus on them and on hearing them and learning more about them. You’ll feel closer and it won’t take much time. What if it were your last day on earth… what would you do? See patients? Be with your loved ones? Plan to be with your family and plan your time. Ask yourself “what am I missing?” and add more of that to your life. Make your family a first priority and think about what you can gain from your time. Every time you think you don’t have enough time, remember creating the time is a choice – choose wisely. Is Personal Coaching Your Next Career? 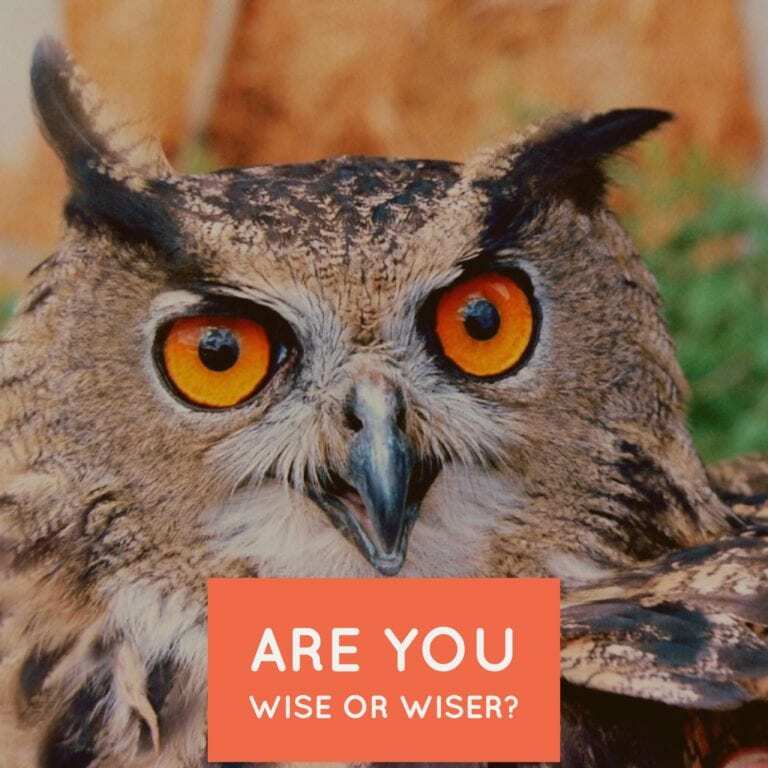 Are you Wise or WisER?